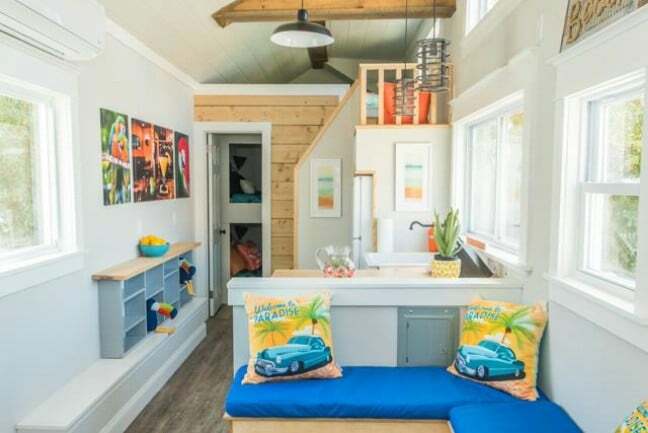 If you’ve ever wanted to spend the night in a tiny house to see what it’s like, you should plan a visit to Tiny House Siesta, a resort in Sarasota, Florida. While I have already shared quite a few of these tiny accommodations on our site, I cannot resist sharing at least one more, the vibrant Margarita. 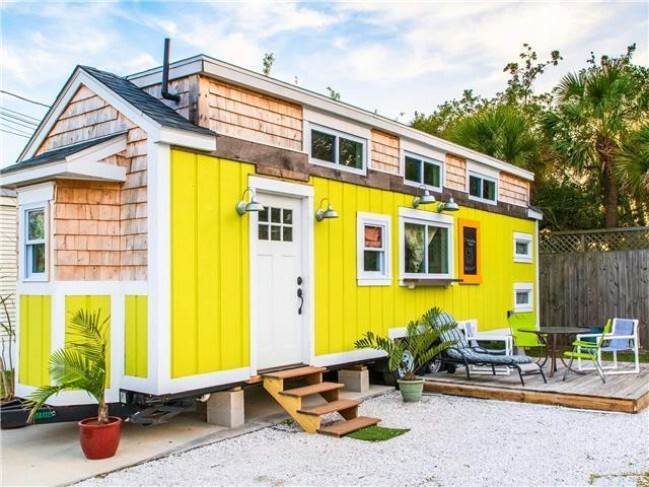 The bold yellow paint on the siding of this tiny house really stands out. It is as bright and cheerful as a sunflower. 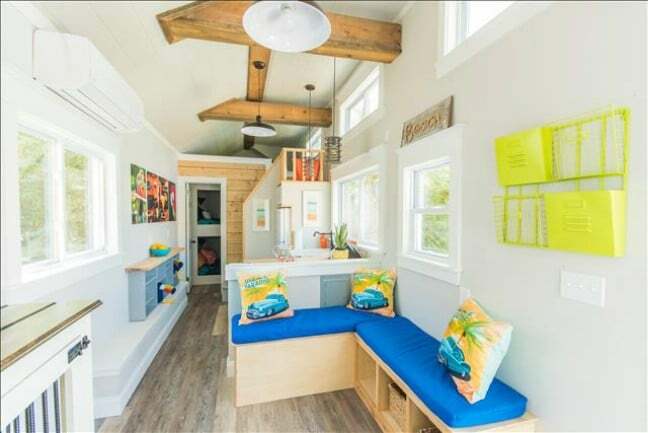 As one of the larger tiny houses at the resort, it has enough space to sleep two people of the loft and four in the first four bedroom. The open layout inside the house is consistent with that of the other homes you can rent for the night at the resort. While each layout is unique, they have a few things in common. The angled ceiling, the large windows, the bright colors and the spacious configuration all combine to create a relaxing atmosphere. 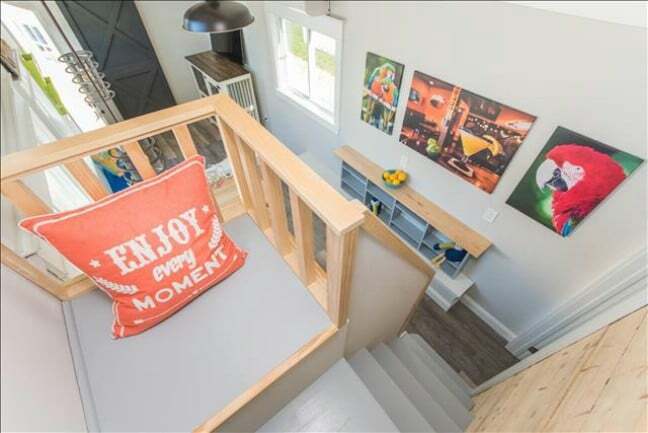 The sentiment expressed on this pillow, “Enjoy every moment,” is a perfect fit for this beautiful tiny vacation house. 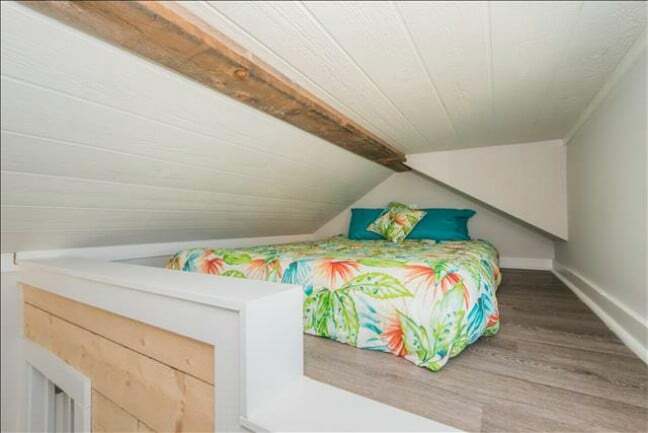 The large loft provides lots of room for luggage around the bed. The angled roof keeps the ceiling from being oppressive. 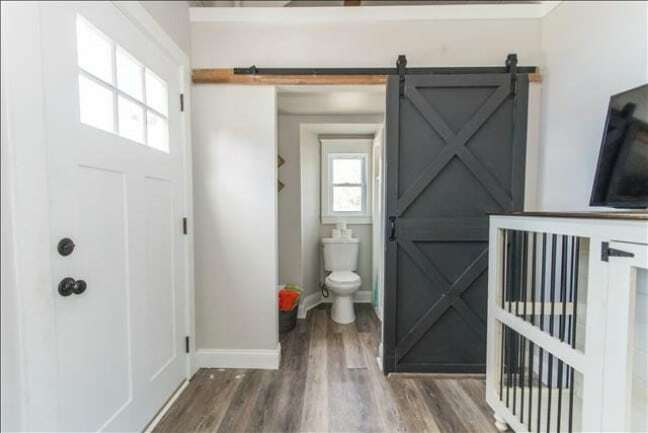 The bathroom is concealed behind a sliding barn door. The door adds a touch of extra style to the home while also conserving space. 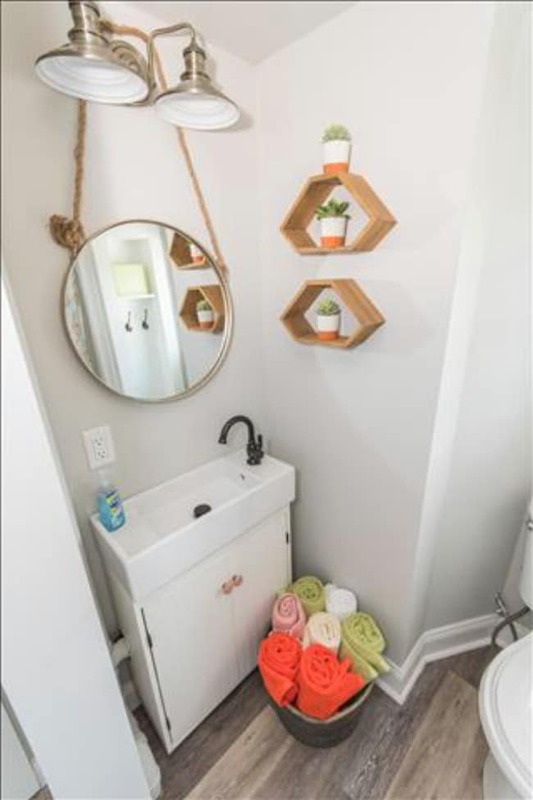 The bathroom has a cool hanging round mirror over the sink which really gives the space a different look and feel. Bright blues, yellows, oranges, and greens make for a festive vacation ambiance. One cool feature of the house is the downstairs bedroom. 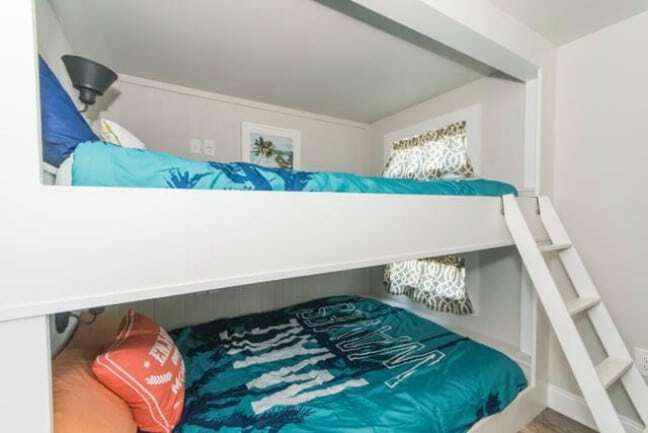 These bunks are queen-size beds, which is how the house is able to sleep six people in total. 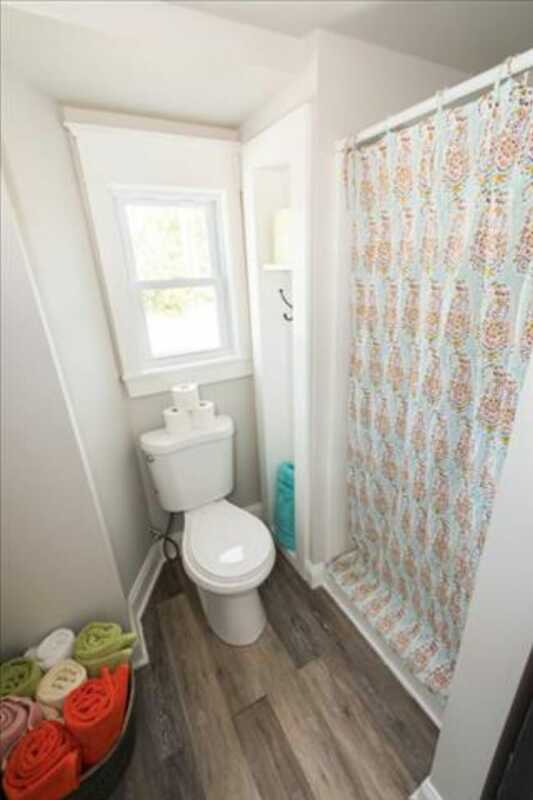 The bathroom features a full-size shower. Want to book a stay at the Margarita, or any of the other beachy tiny houses at this one-of-a-kind resort? You can reserve the Margarita for only $131 a night. 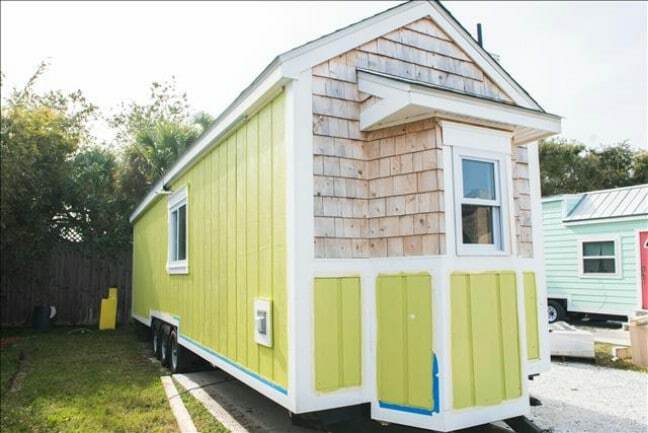 Visit Tiny House Siesta to learn more or book.